MALAYSIAN RESOURCES CORPORATION BERHAD (MRCB) is a leading Urban Property and Infrastructure Developer in the country. MRCB specializes in civil, environmental and energy infrastructure development as well as building service management. Our PEOPLE are developed to live by the corporate values of Integrity, Passion, Teamwork and Innovation. As a fast moving and forward looking organization, we are seeking those who believe in and live with the same values to drive towards achieving our ultimate vision and develop their career with us. 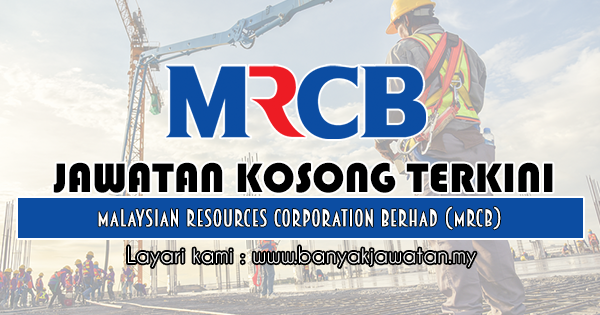 0 Response to "Jawatan Kosong di Malaysian Resources Corporation Berhad (MRCB) - 17 April 2019"